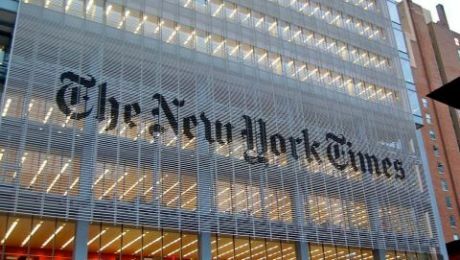 Unlikely as it may seem, read of the week may be Reeves Wiedeman’s article for Popular Mechanics about how 300,000+ copies of The New York Times reach the streets every day. Below is a selection of other pieces to engage me over the past week, with the usual thanks and apologies to those I follow on Twitter and others who alerted me to some of them. • The shape of things to come: this is also essential – Ian Parker turns in a 17,000 word profile of Apple designer Jony Ive for The New Yorker. • Memory books, the movies, and aspiring vamps: at Observations of Film Art Leslie Midkiff DeBauche guests with a post about how the scrapbooks of young ladies can help reconstruct what the audience thought of the movies back in the 1910s. • Bombast – everywhere with helicopter: Nick Pinkerton for Film Comment on the history of the helicopter shot. • The Coast of Utopia – Andrei Zvyagintsev’s Leviathan: a good new piece by for mubi.com’s Notebook. • The sly capitalist seduction of Fifty Shades Of Grey: Anne Helen Petersen for Buzzfeed: ‘the sexual fantasy that undergirds Fifty Shades of Grey is inextricable from the class fantasy’. • In Balanchine’s beautiful forest: for New York Review of Books, Jennifer Homans on the American choreographer’s adaptation of A Midsummer Night’s Dream, choreographed in 1962. • Roses are red / Violets are blue / I love Secret Theatre / (Destroyed if true): Megan Vaughan on the Secret Theatre project. I’m not sure I’ve ever seen as rigorous, as complete, and as compelling a piece of theatre on a UK stage as Ivo van Hove’s take on Arthur Miller’s View from the Bridge. What’s marvellous about the show is that it takes a thoroughly middle European aesthetic and investment in theatricality but allows its British actors to inhabit that conceptual space without entirely giving up the psychological realism in which they are used to working. • Vandalism killed the modernist stars: John Grindrod at Dirty Modern Scoundrel highlights the truly remarkable BBC documentary The Smithsons on Housing from 1970, produced – astonishingly – by the eccentric and experimental novelist B. S. Johnson. • Tribute to Nigel Finch: the BBC Arena team remember their colleague and series editor who died twenty years ago this week. • Wolf Hall cuts and pastes architecture – so is it authentic? : at The Conversation, interesting reflections from architectural historian Susie West. • War on the BBC – the triumphs and turbulence of the Thatcher years: a rich digest by Jean Seaton, courtesy of the Guardian, of elements from her much-anticipated Pinkoes and Traitors: The BBC and the Nation, 1974-1987, out in the next fortnight. • Broadcasting to rescue the Internet for public service? The Digital Public Space as the future for the licence fee: … with commentary from John Ellis at Critical Studies in Television. • The man who made Monet – how impressionism was saved from obscurity: ahead of a new National Gallery exhibition, Michael Prodger for the Guardian on Paul Durand-Ruel. • A Day in the Country – Jean Renoir’s Sunday outing: a lyrical celebration for Criterion by Gilberto Perez. • The originals – dust jacket art of Ian Fleming first editions: lovely illustrations in a blog post by rare book expert Rebecca Romney. • How 25 years of Photoshop changed the way we see reality: Caitlin Dewey for The Washington Post. • Wizards of sound: Alex Ross for The New Yorker on the digital retouching of concert hall acoustics. • The history of YouTube as told through 10 iconic videos: Adam Epstein makes the choice for Quartz, with embeds of course. • ‘Overnight, everything I loved was gone’ – the internet shaming of Lindsey Stone: … and here’s another, courtesy of the Guardian. • Inside R&D – five project reports published: Tim Plyming for Native on reports about initiatives funded by the Digital R&D Fund. • The reader in digital humanities: Nishant Shah at dmlcentral argues for the importance of the active, critical reader as ‘the very tool of making meaning, giving shape, form, structure and life to the text’. • The austerity con: a rich essay on economics by Simon Wren-Lewis for London Review of Books. Ozu // Passageways from kogonada on Vimeo. Image of The New York Times headquarters, 620 Eighth Avenue, by Haxorjoe, shared under a CC BY-SA 3.0 licence.